"I want a music lesson, by a qualified music teacher, in my own home!" Viewing this on a mobile device? - Click Here for a simpler version optimised for mobile use. 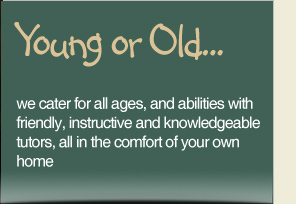 Primavolta music teachers provide quality music lessons in the comfort of your own home. With online resources, pupil reward schemes, motivational music competitions and engaging music teachers, Primavolta is a music school in your living room. 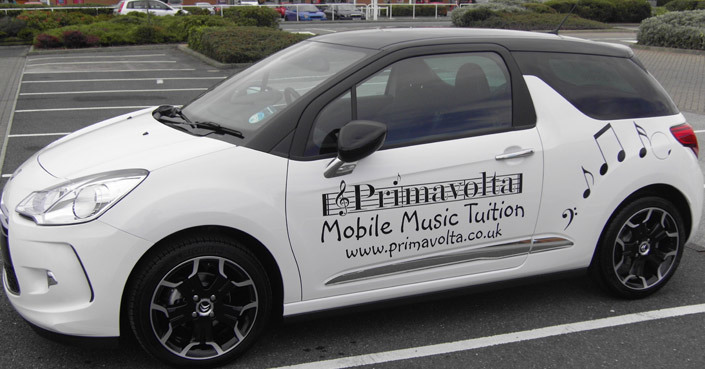 Primavolta is an all mobile music school founded originally in Blackpool, Lancashire by one individual music teacher. Today, our specialist mobile music school provides music tuition to around 400 students each week thanks to our fantastic network of music teachers. Primavolta has now grown to be able to offer music teachers in your home in Blackpool, Lytham St Annes, Fleetwood, Preston, Chorley, Garstang, Lancaster, Morecambe, Southport, Liverpool, Bootle, Chester, Wrexham, Bangor, Llandudno, Glasgow, Stoke, Bolton, Salford, Manchester, Macclesfield, Oldham, Sheffield, Leeds, Chesterfield, Barnsley, Huddersfield, Walsall, Birmingham, Solihull, Peterborough, Lincolnshire, Winchester, Buckinghamshire, Brighton & Hove, Oxford, St Albans, Bath, Bristol, Swindon and areas of London. Our teachers can cover most musical instruments in these areas including Acoustic Guitar, Banjo, Bass Guitar, Bass Trombone, Cello, Clarinet, Drums, Electric Guitar, Euphonium, Flute, Harmonica, Harp, Keyboard, Mandolin, Organ, Piano, Recorder, Saxophone, Tenor Horn, Tin Whistle, Trombone, Trumpet, Ukulele, Viola, Violin and Voice Coaching/Singing. 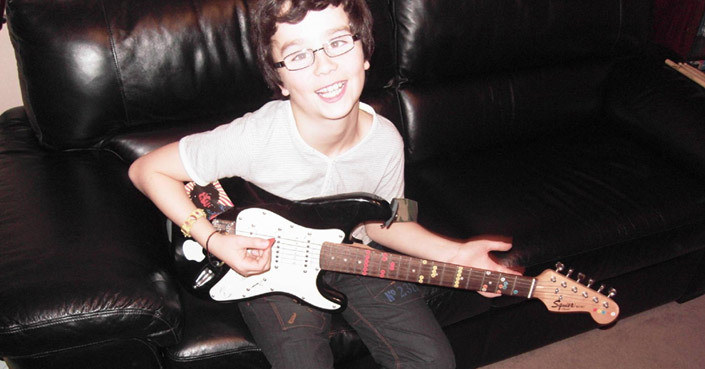 To find out what some of our past and current students think about our mobile music school, view our testimonial page. Mobile Music Tuition - Lessons in your own home with a teacher catering to your individual needs. At Primavolta we have around 200 teachers (and growing) across the UK offering 'in my own home' tuition in Acoustic Guitar, Banjo, Baritone, Bass Guitar, Bassoon, Bouzouki, Cello, Clarinet, Cornet, Double Bass, Drums, Electric Guitar, Euphonium, Flute, Harmonica, Harp, Harpsichord, Horn, Keyboard, Mandolin, Music Theory, Oboe, Organ, Piano, Piccolo, Production, Recorder, Saxophone, Singing, Songwriting, Tin Whistle, Trombone, Trumpet, Tuba, Ukulele, Viola and Violin. If we don't cover your area or you are wanting to learn a rare instrument we also offer specialist Skype lessons. All our music lessons are with qualified music teachers with experience of tuition and performance in your chosen instrument. Each music teacher and lesson is fun and innovative (ipad learning / DS games / Music Snap / Music Dominoes) to keep the appeal of learning your instrument going in the long term. You can also enter for a music exam if you would like to, although this is never compulsory. Local examination centres are used in Manchester, Stockport, Bolton, Chester, Bangor, Wrexham, Llandudno, Stoke, Liverpool, Leeds, Sheffield, Barnsley, Huddersfield, Chesterfield, Birmingham, Leicester, Peterborough, Lincolnshire, Winchester, Brighton & Hove, Oxford, St Albans, Bath, Bristol, Swindon and London. Gift Certificate - If you are thinking of a loved one starting music lessons, or simply helping them with the cost, you can treat them to a gift voucher. The gift certificate can be for any specified amount and can be used in full or part payment towards a block of music lessons. If the recipient lives in London, Brighton & Hove, Winchester, Lincolnshire, Peterborough, Leicester, Birmingham, Blackpool, Fleetwood, Preston, Chorley, Garstang, Lancaster, Morecambe, Manchester, Bolton, Chester, Bangor, Wrexham, Llandudno, Glasgow, Liverpool, Stoke, Leeds, Sheffield, Doncaster, Huddersfield, Barnsley, Chesterfield, Newcastle and Gateshead then the voucher can be used for lessons in your own home. If the recipient lives elsewhere, the gift voucher can also be used towards Skype music tuition. At Christmas we can even provide you with a lovely Christmas card to place your gift voucher in with our own unique musical design. For more information on our gift voucher service, click here. 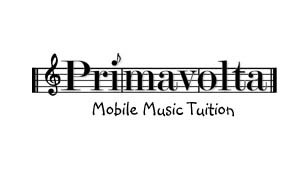 School Tuition - Primavolta Mobile Music Tuition also offers music lessons in primary and secondary schools with our specialist music teachers. 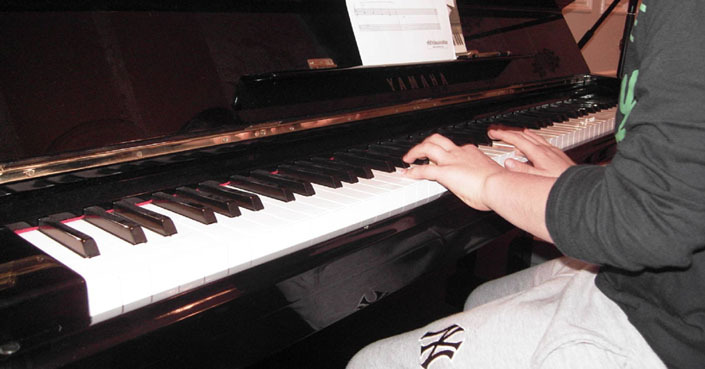 Your lesson can be held in pairs or small groups at a lower cost than general private music tuition. The lesson can serve as an excellent introduction to the chosen instrument with a specialist music teacher. For more information please browse the link at the side or phone to discuss your lesson requirements. Music teachers are available in Guitar, Piano, Keyboard, Drums, Saxophone, Brass and Music theory in Blackpool, Preston, Lancaster, Manchester, Bolton, Liverpool, Chester, Leeds, Chesterfield, Sheffield, Glasgow, and London. We are more than happy to meet with your school to discuss your individual requirements and the lessons we can offer. Music Workshops - As Primavolta has such a wide network of excellent music teachers we are really pleased to be able to offer bespoke music workshops. The workshops can be tailor made to the need of your organisation whether it be a school (for children or staff training), after school club or activity, charity or work place. All you need to do is give us your brief and we will organise everything for you. For more details click here. Music Books - We have a developing range of music lesson books written by our experienced music teachers. They are available at a lesser price than most music books on the market and are designed specifically with your Primavolta lesson in mind. See our online music shop for our current range. Student Area - The innovative and exclusive student area on this website is available free of charge to all students of Primavolta as an additional support to your music lesson. It gives students access to music resources such as theory worksheets, manuscript and sheet music. Sheet music is available for Piano, Keyboard, Brass and Woodwind as regular music notation. Guitar TABs are available for guitar learners. The area also shows examples of pupil work and includes sound files of some of the music available. This helps students learning with us to hear the song before attempting to play. Popular sheet music is included in this section to keep long term interest in learning. This service also allows us to communicate regularly with students being able to receive information and examination results through this service. Our student area has been so popular amongst our students that it was nominated and then shortlisted in 2012 for 'Best Website'. The nominations were for the Radio Wave 'Culture and Lifestyle Awards.' Radio Wave is a Blackpool based local radio station. Skype Tuition - If you are living outside of our Blackpool, Preston, Lancaster, Manchester, Liverpool, Bolton, Chester, Stoke, Leeds, Chesterfield, Sheffield, Huddersfield, Newcastle, Winchester, Brighton & Hove and London catchment areas we offer Skype music tuition with some of our music teachers. See our Skype page for more details of how to arange a Skype music lesson. Music lessons available in Acoustic Guitar, Banjo, Bass Guitar, Bass Trombone, Cello, Clarinet, Drums, Electric Guitar, Euphonium, Flute, Harp, Keyboard, Mandolin, Organ, Piano, Recorder, Saxophone, Tenor Horn, Tin Whistle, Trombone, Trumpet, Ukulele, Viola, Violin and Voice Coaching/Singing. Skype is an excellent alternative to music lessons if the prices are much higher where you live, for example in the South East. Skype is becoming increasingly popular and our teachers are becoming more familiar with this as an option for your tuition needs. 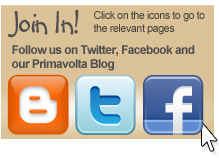 Primavolta Shop - We have put together our own music shop online with musical instruments, books and resources that we think are best for your tuition with your music teacher. We will only recommend products that we believe are useful for your lesson and the shop is updated regularly to reflect this. Our music shop currently holds keyboards, drum kits, saxophones, trumpets, recorders, flutes, clarinets, ukuleles, guitars, microphones and music theory resources. All musical instruments are recommended for your music lesson. If you need any further support with music instrument purchase, your individual Primavolta music teacher will be more than happy to help. Use this website for further information. On it you can discover the music lessons we offer in all our locations and the many benefits of having a Primavolta music teacher come to your home. The website is updated regularly with information for both existing and prospective pupils who wish to enjoy music lessons. We hope you enjoy our website and see for yourself why it was runner up in the 'Best Website' category in the 'Radio Wave Culture and Lifestyle Awards' in Blackpool during 2012. Please feel free to email us with any comments about our music lessons, music teachers or the website. Any suggestions for improvement would be welcome! We look forward to welcoming you for your first music lesson with our music teachers soon! From all of the music teachers in the Primavolta Mobile Music Tuition team across England and Wales! Primavolta Mobile Music Tuition - a mobile 'in my own home' music school proudly offering music teachers, music lessons, Skype music lessons, music tuition, music tutors in Acoustic Guitar, Banjo, Baritone, Bass Guitar, Bassoon, Bouzouki, Cello, Clarinet, Cornet, Double Bass, Drums, Electric Guitar, Euphonium, Flute, Harmonica, Harp, Harpsichord, Horn, Keyboard, Mandolin, Music Theory, Oboe, Organ, Piano, Piccolo, Production, Recorder, Saxophone, Singing, Songwriting, Tin Whistle, Trombone, Trumpet, Tuba, Ukulele, Viola and Violin. If we don't cover your area or you are wanting to learn a rare instrument we also offer specialist Skype lessons. Music teachers available in Blackpool, Lytham St Annes, Fleetwood, Poulton, Kirkham, Weeton, Warton, Freckleton, Preston, Cottam, Fulwood, Garstang, Chorley, Lancaster, Morecambe, Heysham, Bolton, Rochdale, Oldham, Salford, Stockport, Manchester, Macclesfield, Glossop, Stoke, Keele, Chester, North Wales, Bangor, Wrexham, Llandudno, Glasgow, Liverpool, Southport, Bootle, Birkenhead, Huddersfield, Sheffield, Leeds, Chesterfield, Barnsley, Newcastle & Gateshead, Walsall, Birmingham, Solihull, Leicester, Peterborough, Lincolnshire, Winchester, Buckinghamshire, Brighton & Hove, Oxford, St Albans, Bath, Bristol, Swindon and London since 2006.